A 1992 study of the grain-handling industry from 1878 to 1945, focuses on grain companies, industry organization and buildings; in partnership with Professor John Everitt of Brandon University. 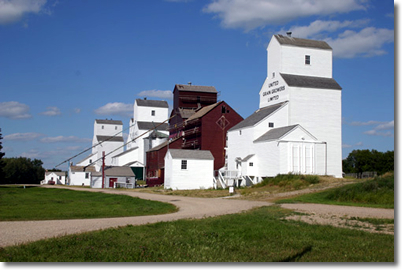 1941, is the premier site in Manitoba associated with the history of grain elevators. The various buildings comprise a Provincial Heritage Site.